Which Service Plan Matches Your Online Objectives? This is our most popular service plan, balancing new patient performance and patient education to boost retention and cultivate referrals. Choose our Essential Plan if you practice in a medium-sized jurisdiction. We maximize your website’s new patient pulling power by dominating search engines and expanding your online authority. 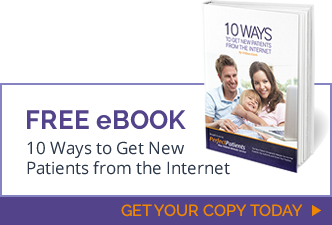 Our Premium Plan is for practices serious about getting new patients through digital marketing. Consult the Plan Table for a more complete side-by-side comparison. Watch our 2-minute video for pricing information.